Whether physical machine had UEFI bios or not. Best practice would say that you have a restore image somewhere, that it is up to date (you don’t need to take regular copies, just after major OS or hardware changes). But experience says that when disaster strikes you tend to find that you don’t have all the data you were hoping for…. 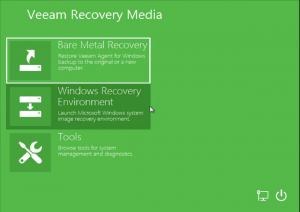 You have the bare metal iso recovery image you created for your server. Good that’s a start. You don’t have the bare metal iso recovery either you didn’t create it, or you lost it along with your server.. Good news is that you can create a ‘generic’ one. Create a VM, Boot from windows media iso. Doesn’t really matter which, but preferable the same version that you are trying to restore, and do a basic install. 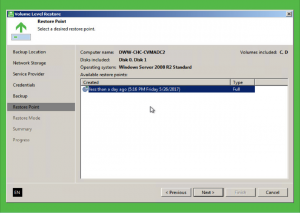 Configure DCHP on network interface, don’t need to activate windows. 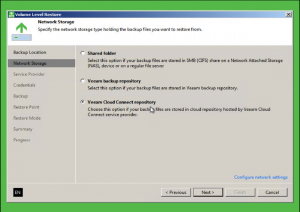 Install Veeam backup agent, and run the media creation wizard. Create new ISO and use this for your recovery. 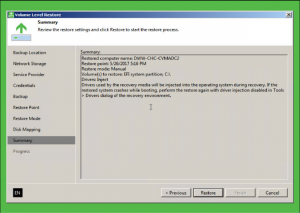 Step 2: Create a VM with similar specs to what you need to restore. 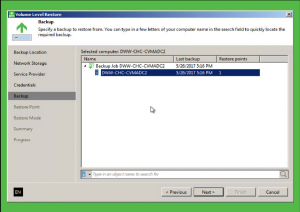 Attach the iso to the CD/DVD and select “Connect at Power On”. Also needs to be on a network that has access to the cloud connect repo. 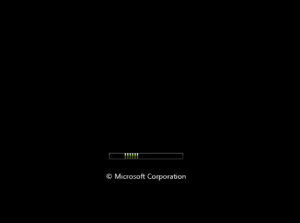 The recovery image needs to be able to connect to the Internet. The exact setup here would depend on your network and what’s expected in the recovery iso. However you can edit that later. I have a ‘recovery vlan’, where DHCP is available and outbound internet access is available, but still secured. 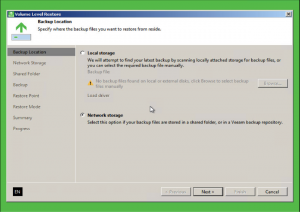 Virtual Disks should be created to be able to restore the image in. If the hardware you are restoring from has UEFI bios then you should select this under the “VM Boot” options, rather than the default BIOS. 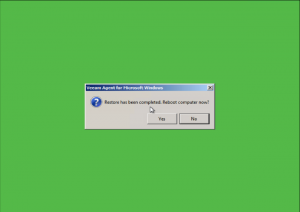 The Windows RE image from ISO should boot. 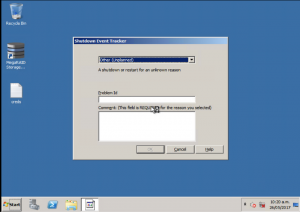 (Note the example here is recovering an old WIndows 2008 R2 server. 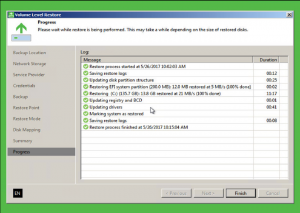 Minimum requirements for Running Veeam Agent 2.0 are Win2008R2 with SP1. 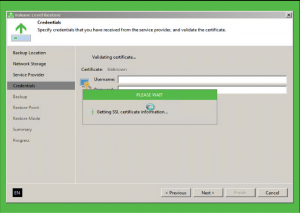 At this point, if the original server had statically configured IP address or multiple network connection – then you might need to “Configure Network Settings“. Set whatever settings you need to get the server up and connected to the Cloud Connect repository. You can see that the 1TB D: drive isn’t going to map/fit. In this case never mind. I didn’t need that scratch drive anyway. But it speaks to the point in Step 1 that you need disks to be able to restore into. If you do need the data, and you didn’t create enough or large enough drives at the start. 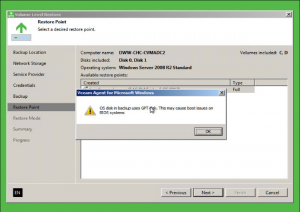 Simply power off the VM, change the settings reboot and loop back to Step 3. If the “Entire Computer” option doesn’t work, because it cannot auto match the disks, then you will need to go into Manual Mode and select the disks. This may take some time, depending on the size of the restore and the network speed to the repository. Time for a cup of coffee. And just to show that the restored image did boot up…. Of course, now you have restored onto different hardware, there may be some reconfiguration and driver work to do.